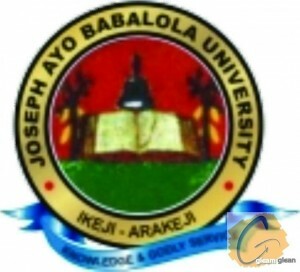 Joseph Ayo Babalola University (JABU) Postgraduate Admission Form, Courses, Admission Requirements, Method of Application, School Fees Schedule for 2018/2019 Academic Session. Authorities of the Joseph Ayo Babalola University (JABU) invites applications from suitably qualified candidates for admission into its Full-time and part-time postgraduate programmes for the 2018/2019 academic session. vi. Candidates would be required to take an oral or written interview. HND or its equivalent in a cognate field from a recognized Institution, or minimum of a Third Class Degree from a recognized University. Application forms can be obtained from Academic Office, Joseph Ayo Babalola University, Ikeji Arakeji, Osun State or any of the Under-listed places, on presentation of N 10, 000 bank draft drawn in favour of Joseph Ayo Babalola University. All drafts must carry the full names of applicants at the back.